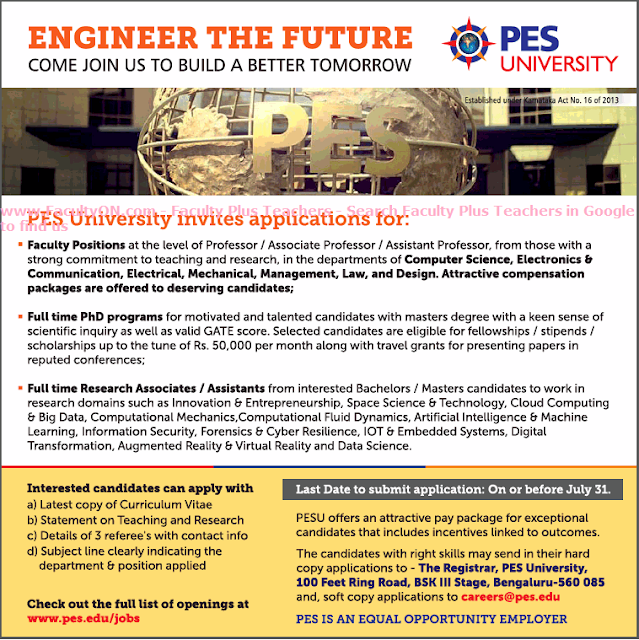 PES University, Bangalore has advertised in THE TIMES OF INDIA newspaper for the recruitment of Professor / Associate Professor / Assistant Professor jobs vacancies. Interested and eligible job aspirants are requested to apply on or before 31st July 2018. Check out further more details below. (4) Subject line clearly indicating the department & position applied. Apply by hard copy and soft copy.